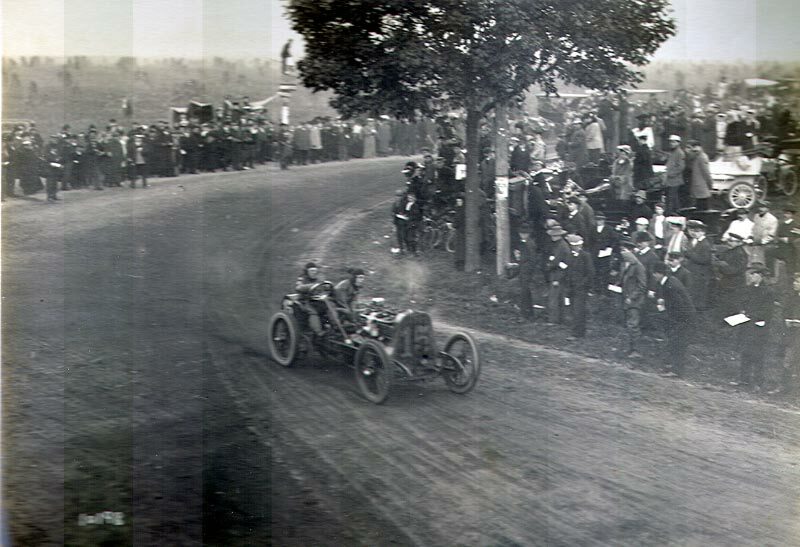 One of the six exciting turns in the 1905 Vanderbilt Cup Race was the intersection of Lakeville Road and Jericho Turnpike. 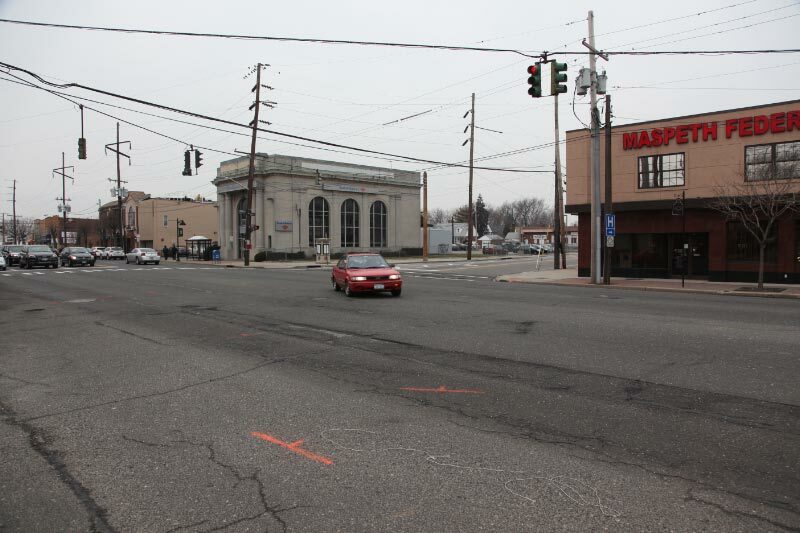 Here is a "Then & Now" of the "New Hyde Park Turn". 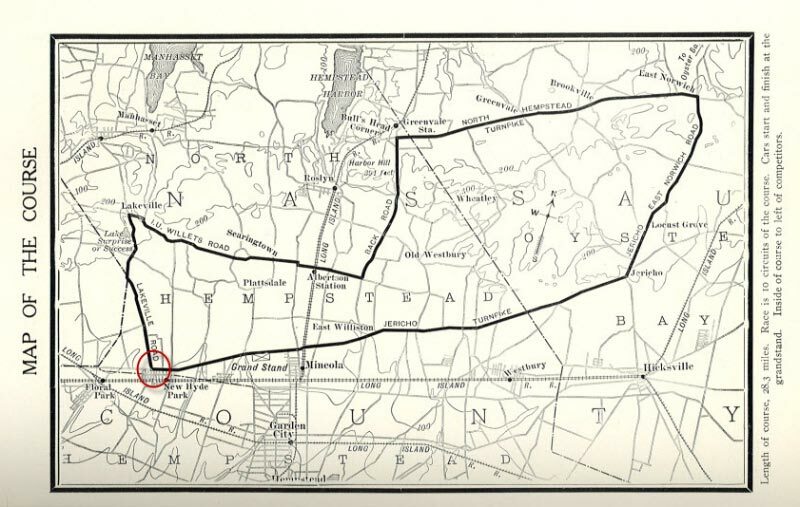 The New Hyde Park Turn was located at the south-west corner of the 1905 course A view of the turn looking south. 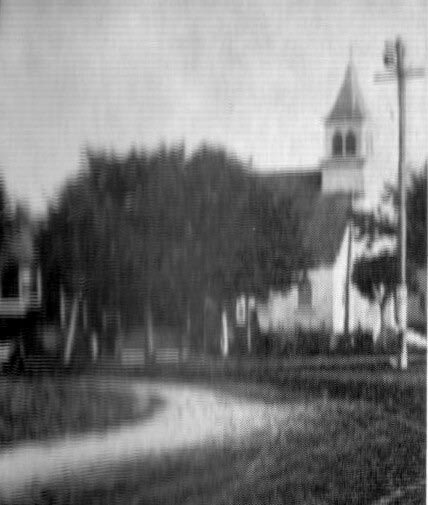 The First Presbyterian Church of New Hyde Park can be seen in the background. 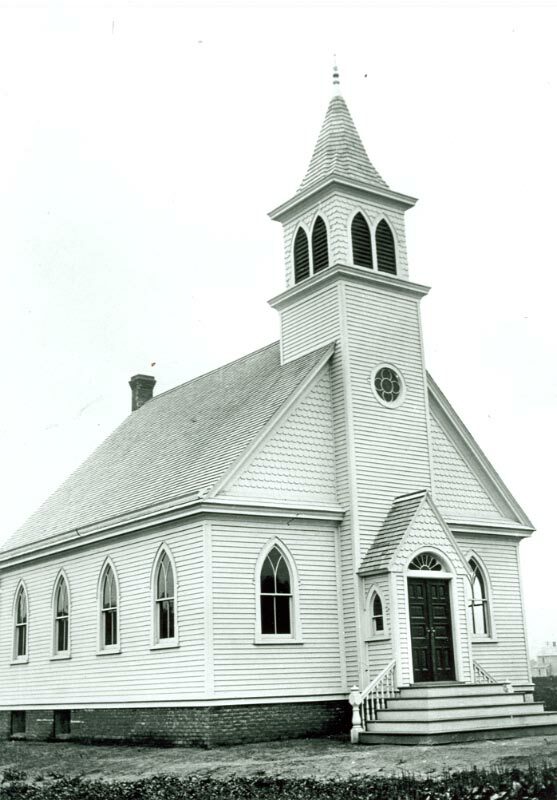 Most of the following photos were taken from the steeple of the church. 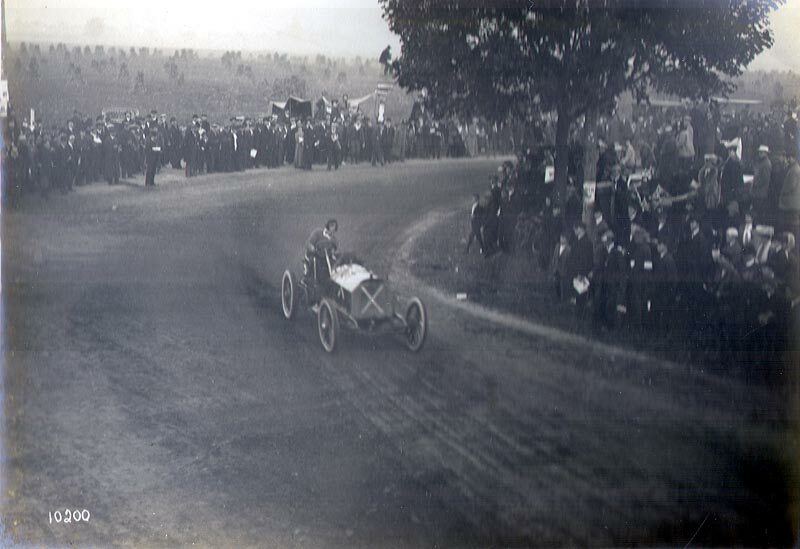 Arthur Duray driving the #2 De Dietrich. 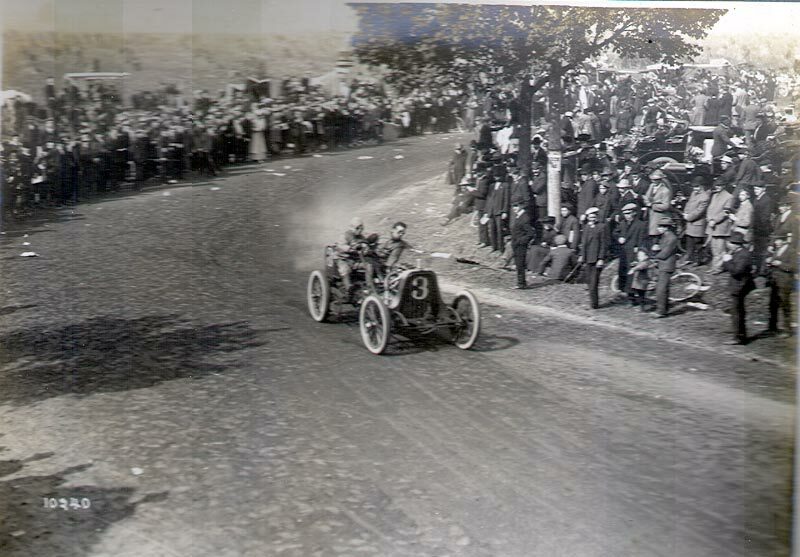 Bert Dingley in the #3 Pope-Toledo. 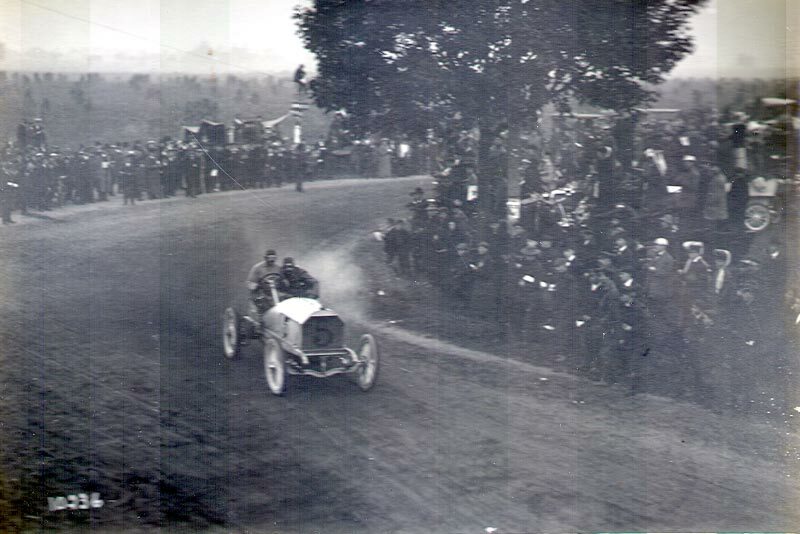 The "Italian Lion" Vincenzo Lancia in the #4 Fiat. Long Island native Foxhall Keene in the #5 Mercedes. 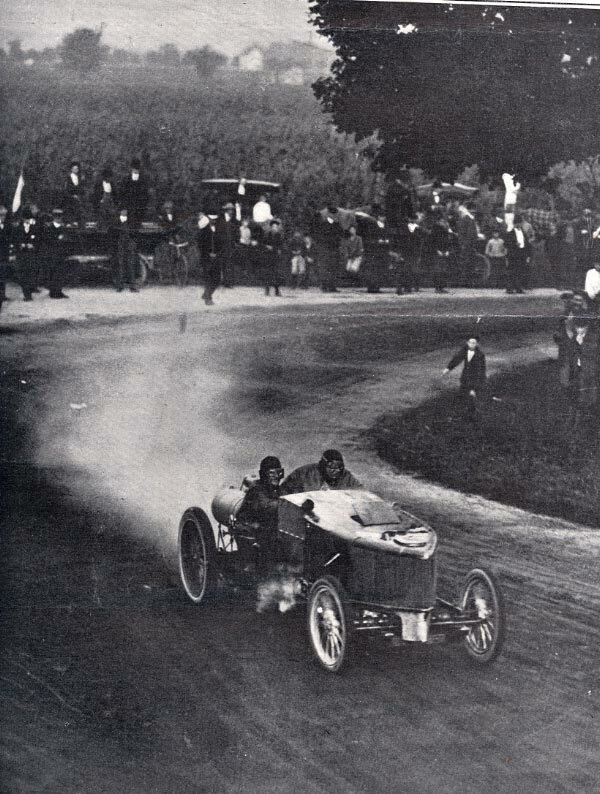 A postcard of Joe Tracy driving the #7 Locomobile. 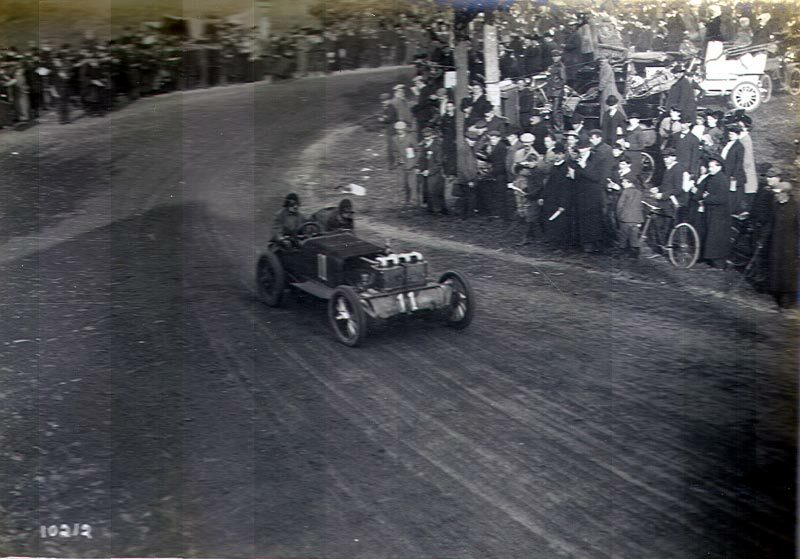 The front-wheel drive #11 Christie driven by Walter Christie. The "x" (#13) Mercedes driver by Albert Campbell. 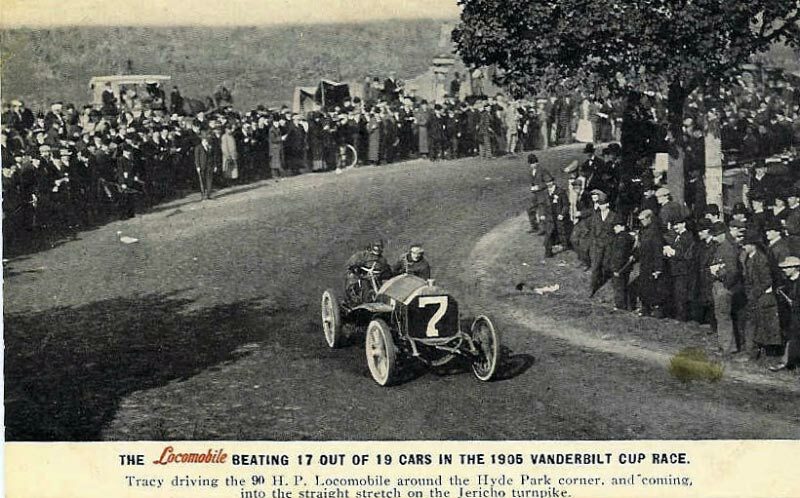 The only Vanderbilt Cup racer to run without a number. 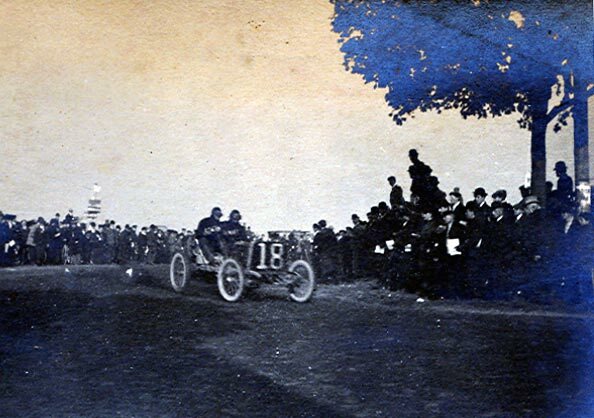 Louis Chevrolet in the #16 Fiat attempting to overtake the 1904 champion George Heath driving the #14 Panhard. Herb Lytle in the #15 Pope-Toledo. 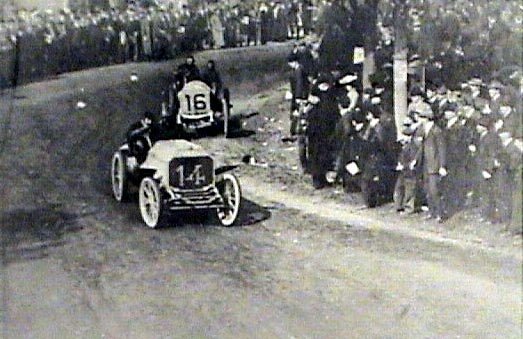 The eventual winner #18 Darracq driven by Louis Wagner. 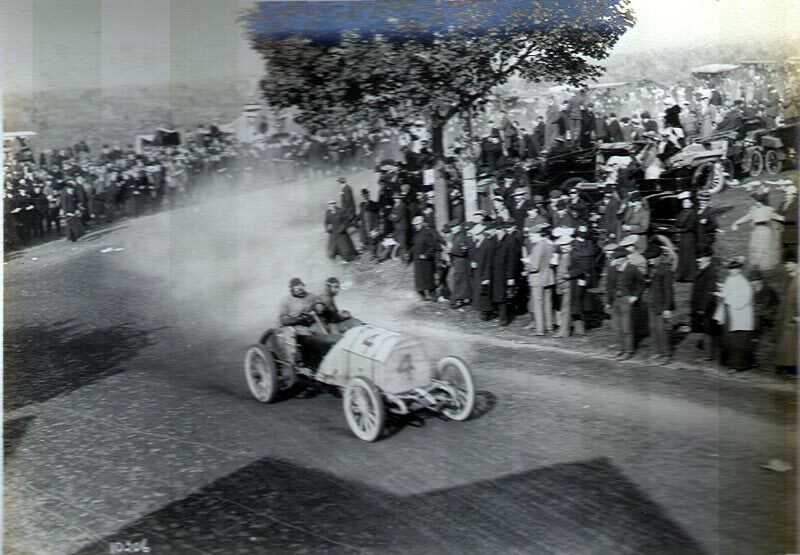 The steam-driven #19 White driven by Walter White. 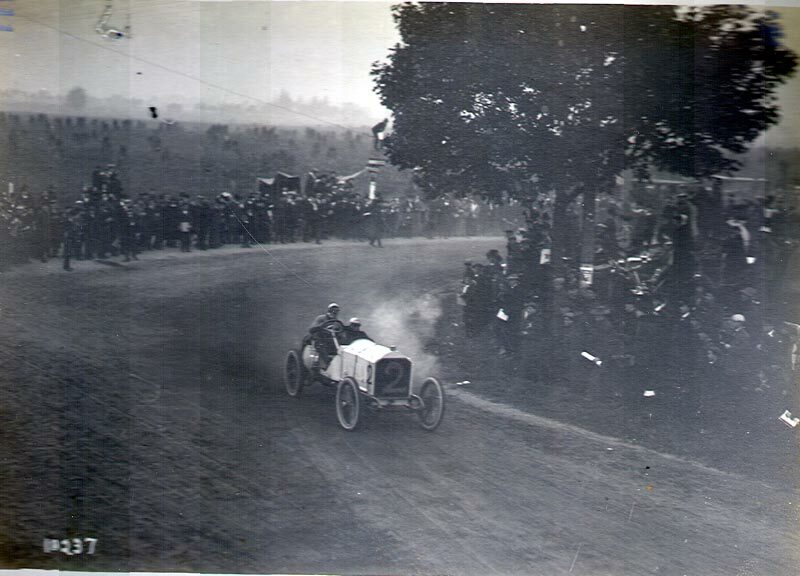 The car was the only non-gasoline racer to compete in the Vanderbilt Cup Races. 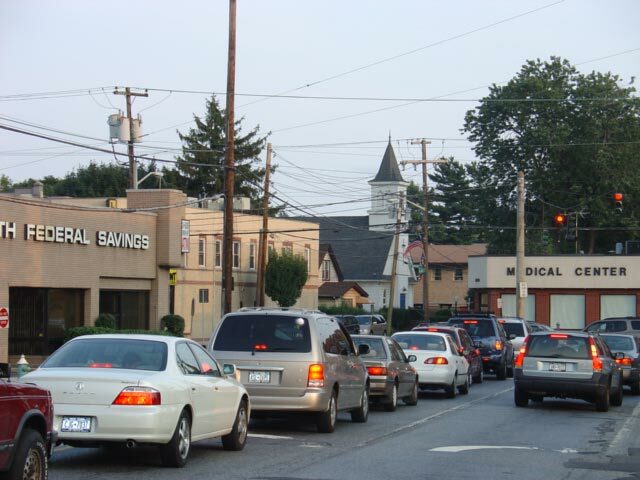 A car taking the New Hyde Park Turn today. 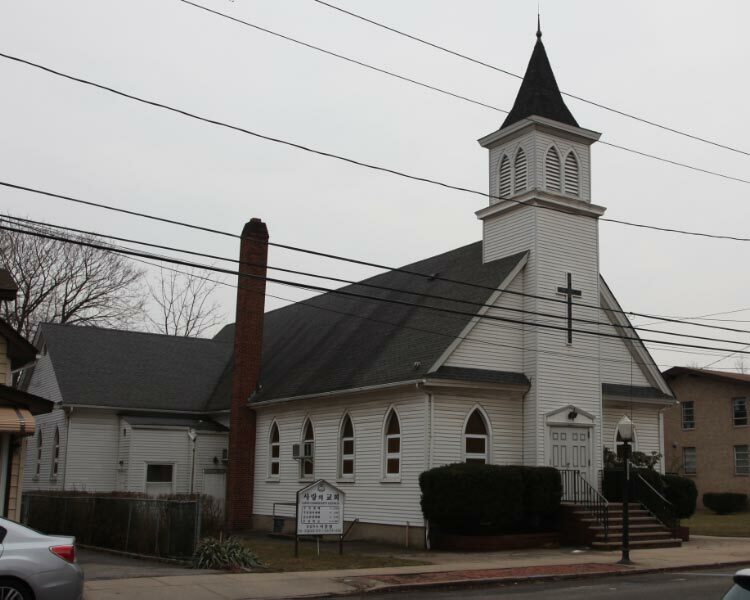 Looking south, the First Presbyterian Church of New Hyde Park is still standing. Thank you so much for these amazing, historical photos. I truly enjoyed reading through them and sharing with my hometown, New Hyde Park.